This was so deliciously rich and creamy! 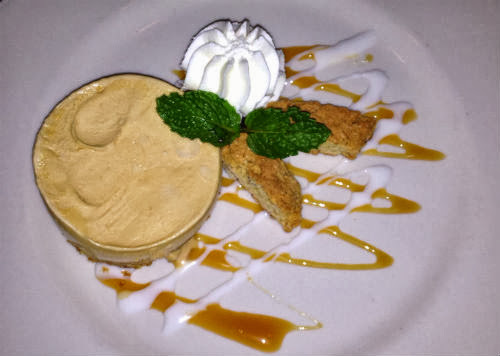 Mocha, Carmel, Gelato with a heavenly Gram cracker Crust. Whipped cream & Biscotti cookies on the side.